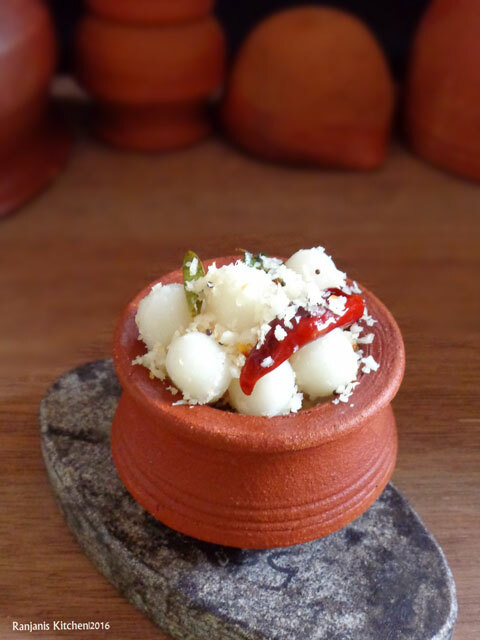 Ammini Kozhukattai recipe – this is plain kozhukattai, other name as mani kozhukattai. We can make sweet and kara ammini kozhukattai also. 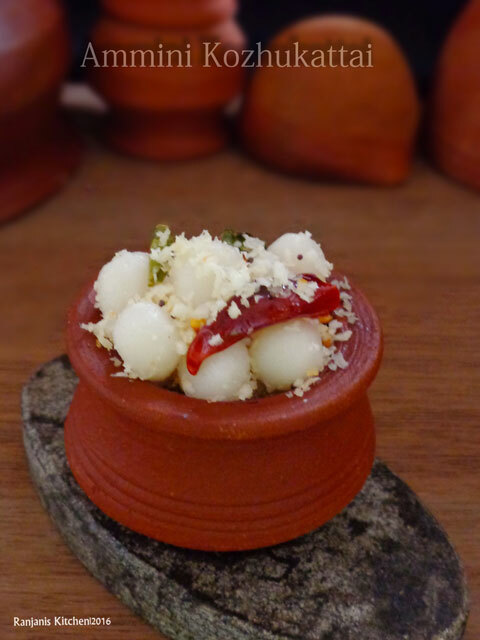 This uppu ammini kozhukattai made in rice flour and seasoned with coconut. It’s a simple dish for neivaidhyam and for evening snacks. I always love kozhukattai recipes, because we can make it steam cooking method and no oil content in it. I have already posted wheat pidi kozhukattai, do check. 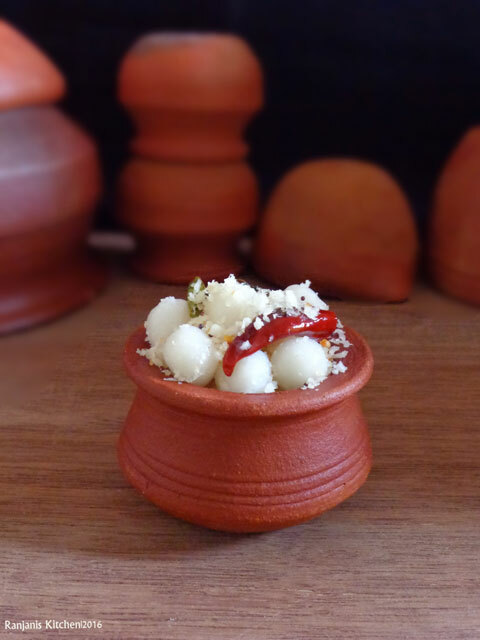 Check out how to make ammini kozhukattai recipe with stepwise pictures. Boil water along with a tsp of coconut oil and salt. In a wide mixing bowl, take rice flour, add the boiling water little by little. Knead using ladle or spoon till soft dough. Pinch small portion and make it as small ball. Do the same for remaining dough and steam cook in idli plates for 5 minutes as batches. Heat a kadai, add oil and season with mustard, red chillies, hing and curry leaves. Add coconut and stir for a second and add cooked rice balls. No need to add salt while seasoning, as we already added enough salt in rice dough. We can use both homemade and store bought rice flour for this recipe. Coconut oil and gingelly oil works well for this recipe. We can use refined oil also. Add more coconut if you love the taste. WOW! Beautiful presentation and this looks delicious!